Moong Dal Halwa is a famous Indian dessert made using moong dal and flavored with ghee, saffron, and cardamom. Here’s how to make perfect moong dal halwa which is a classic recipe that melts in your mouth and treats you as a delicious dessert. You may also like to try Kesar Kheer recipe. Shahi Tukda(Shahi Tukra) is the rich royal bread pudding made with milk, nuts, saffron powder, sugar, bread, and ghee. Try this super easy recipe and enjoy the most famous recipe at home. In a deep non-stick pan, add milk and bring to the boil. Once the milk starts boiling, take out a ladle full of the hot milk into a small bowl and add saffron powder. Mix well and add back to the boiling milk. Reduce the heat to low, add sugar and cardamom powder. Mix well and continue to simmer for 1 hour 45 minutes or until thick, while stirring in between. Once the rabri reaches the desired consistency, take it off the heat and keep aside. In another non-stick pan, add remaining ½ cup sugar along with water. Bring to the boil and cook for 7-8 minutes until syrupy. Keep aside. In another pan, heat ghee over medium heat. Add 1 bread slice to the hot ghee and fry for a minute per side until golden brown and crisp. Transfer to the reserved sugar syrup, soak for a minute and transfer to a serving plate. Top the soaked bread slice with rabri, garnish with chopped nuts, saffron and silver leaf. Repeat with remaining bread and rabri. Serve warm. Mango Shrikhand is a very simple, healthy and easy dessert recipe which can be prepared in no time. Mango Shrikhand is made with hung curd, mango puree, sugar, and saffron powder. 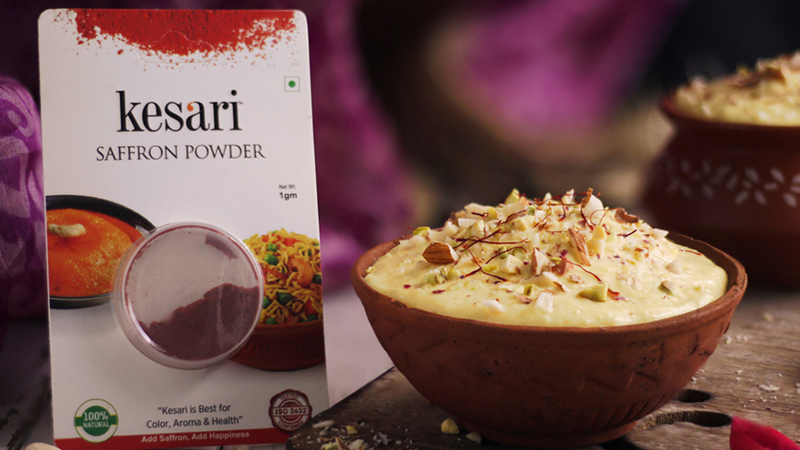 It is garnished with chopped nuts and saffron strands and is best served chilled. Do try this no-cook dessert and enjoy with your family. 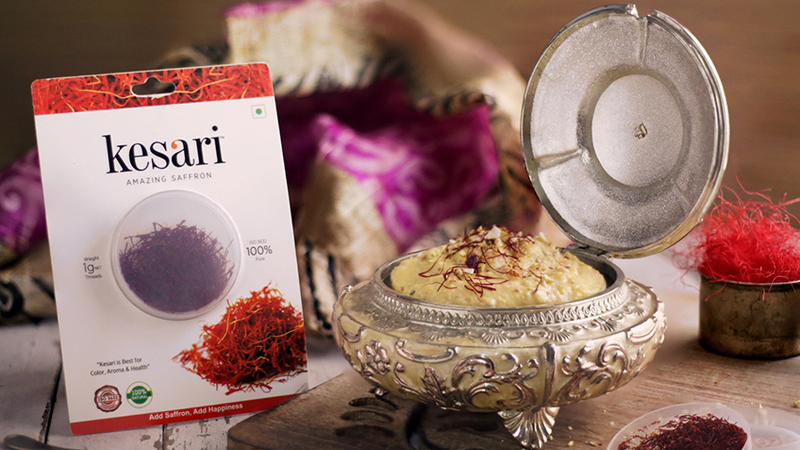 Garnish the shrikhand with chopped nuts and saffron and serve chilled. 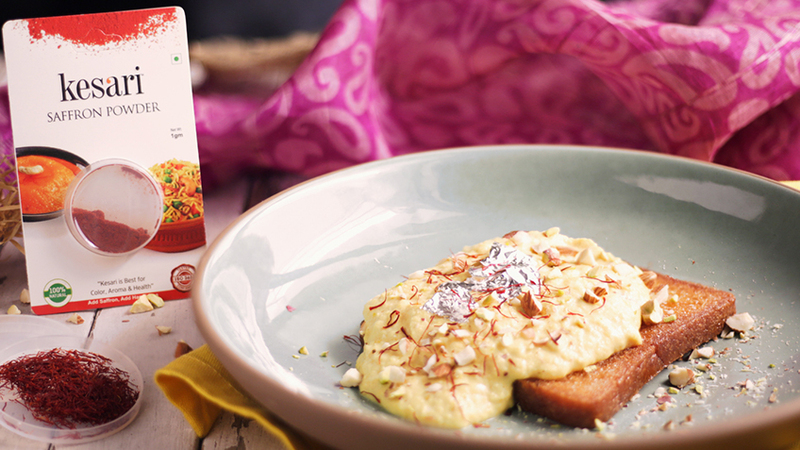 Check out the best way to make Basundi (rabri) nourished with almonds, pista, cardamom, and few saffron Strands. The best way to think about it as a slow cooking rice pudding…without the rice. It’s one of the easiest recipes you’ll find anywhere which can be cooked within 30 minutes. 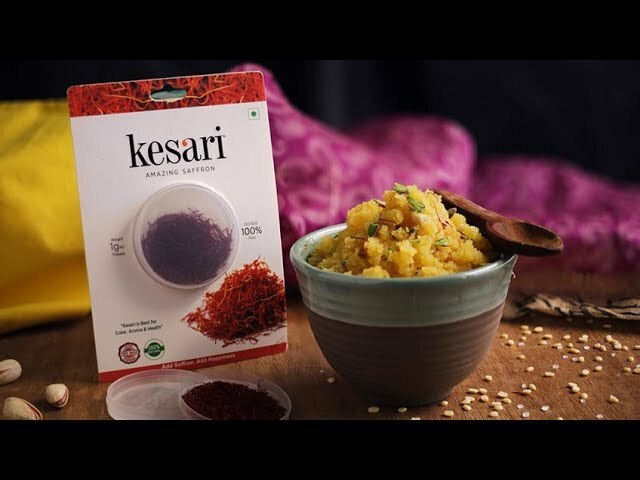 Just, give it a try with Kesari saffron Threads! Add almonds, cashews, and pistachios. Mix well and cook for 30 minutes while stirring in between.